Five people have been arrested in Waterford and two others in Cork in connection with an investigation into a conspiracy to murder a Swedish cartoonist. 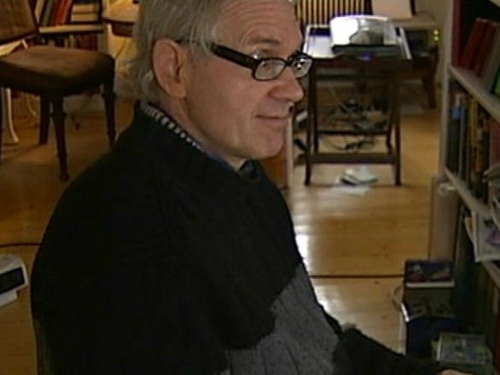 Cartoonist Lars Vilks has been threatened over his drawing depicting the Prophet Muhammad with the body of a dog. The head of an al-Qaeda faction in Iraq, Abu Omar al-Baghdadi, posted an audio tape on the internet in September 2007 offering $100,000 for the killing of Mr Vilks. This morning, detectives arrested three men and two women in Waterford and Tramore and another man and woman at Ballincollig, near Cork city. A number of searches also took place and documents, computers and mobile phones were seized. A garda spokesman said the operation was part of an investigation into a conspiracy to murder an individual in another jurisdiction. Members of the Garda National Support Services and the Special Detective Unit were also involved in this morning's operation. Gardaí say they are working closely with police forces in a number of other European countries and in the US. The seven people arrested this morning range in age from their mid-20s to their late-40s. They are being questioned at garda stations in Waterford, Tramore, Dungarvan and Thomastown. All are being detained under section 50 of the Criminal Justice Act, which allows for them to be held for up to a week. Those in custody are originally from Morocco and Yemen, but it is understood they all have refugee status and are legally in the country. It is believed they know each other and some could be related.